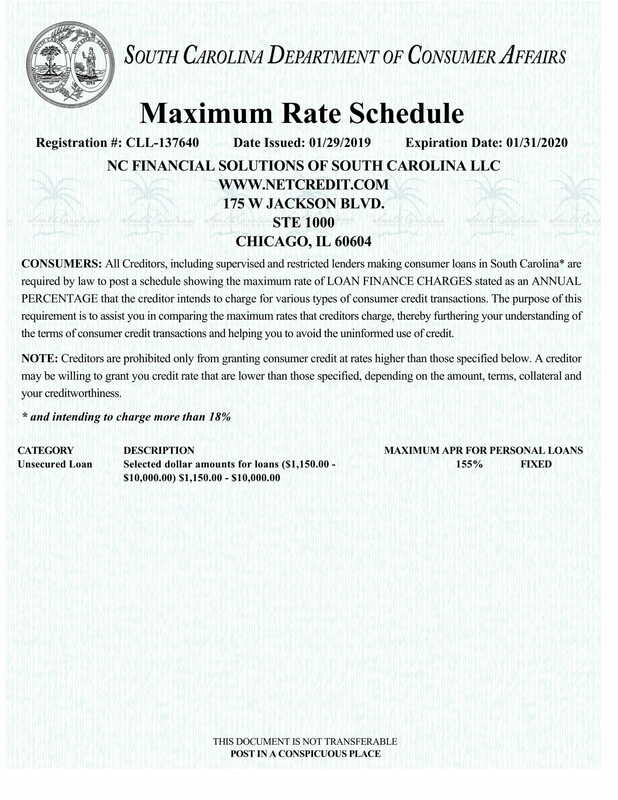 You may be charged a late fee of the lesser of $15 or 5% of the unpaid amount of the scheduled installment payment if you fail to make all or any part of a scheduled installment payment within 10 days of its scheduled installment due date. 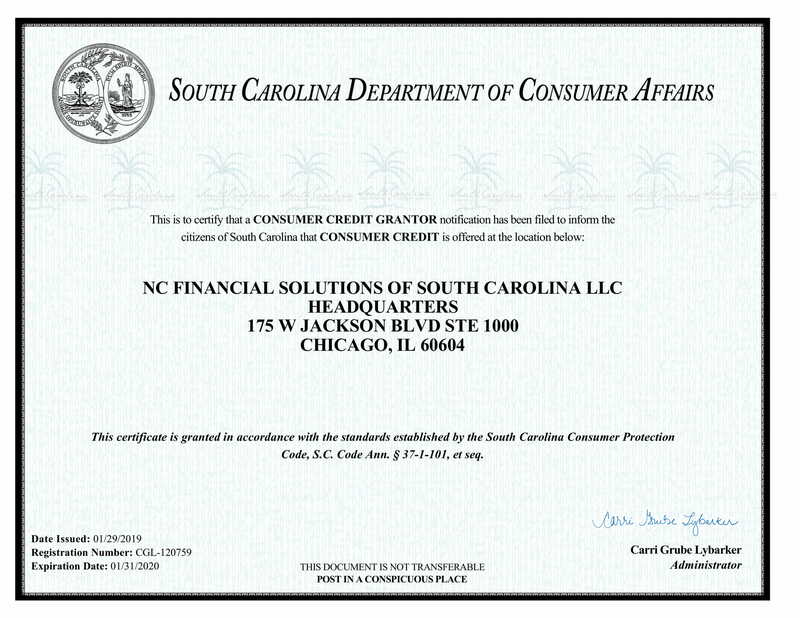 We are proud to operate in compliance with South Carolina regulations. 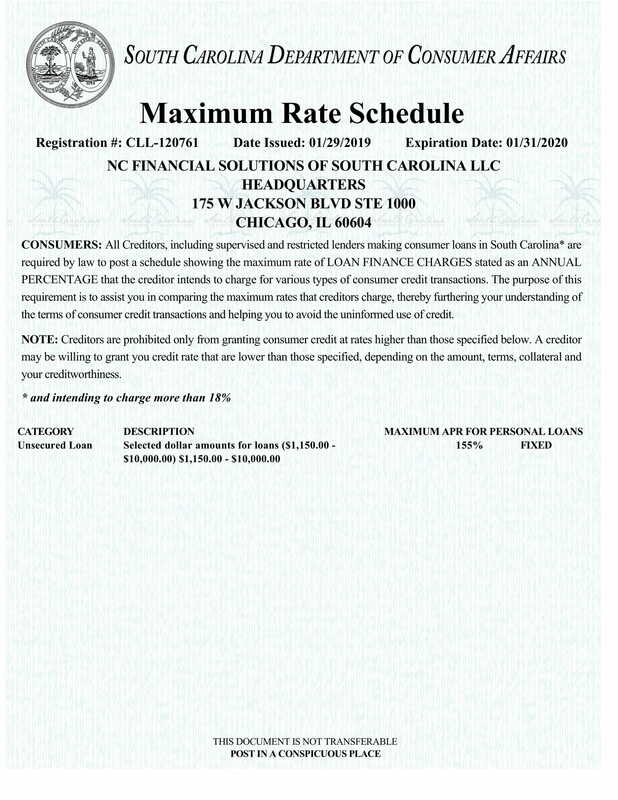 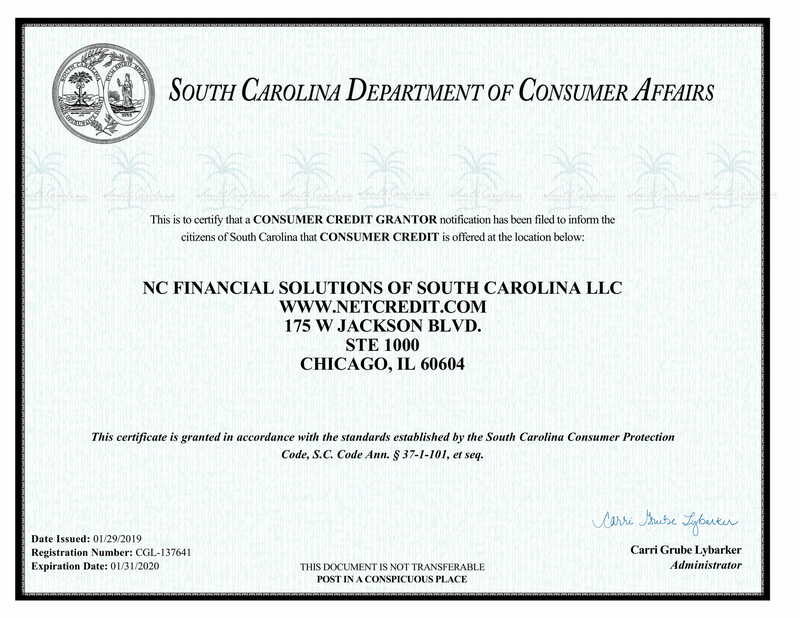 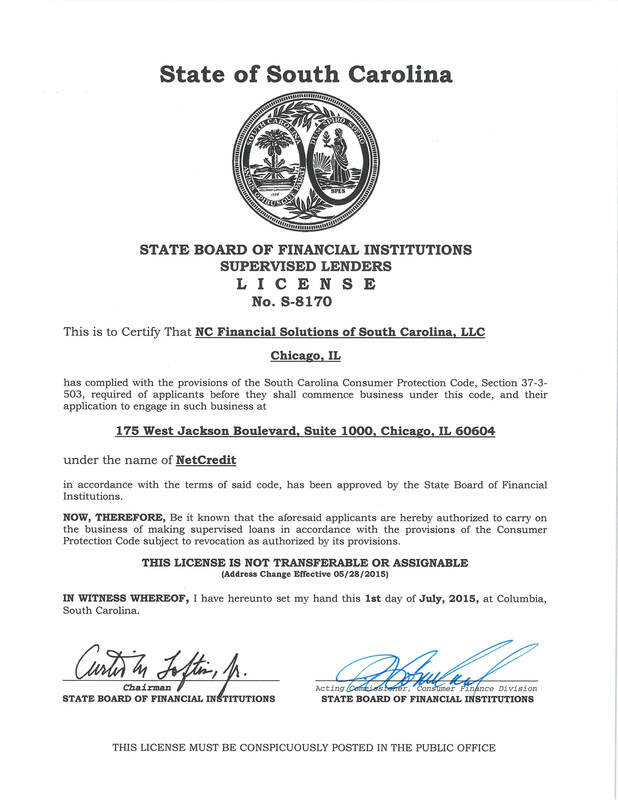 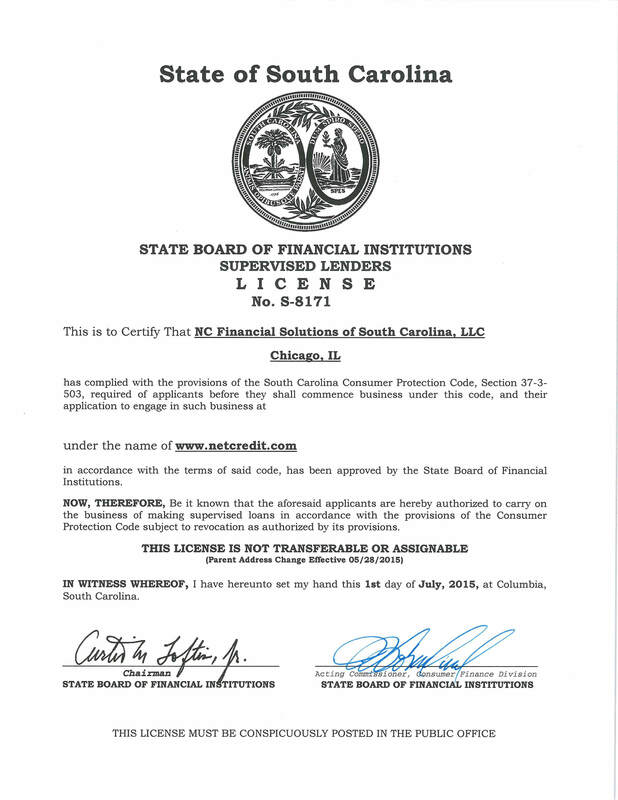 NetCredit is licensed in South Carolina by the South Carolina Board of Financial Institutions, Consumer Finance Division.